While solving the number puzzle, I couldn't find any solution for this problem. Please help me solve it and briefly explain your answer. 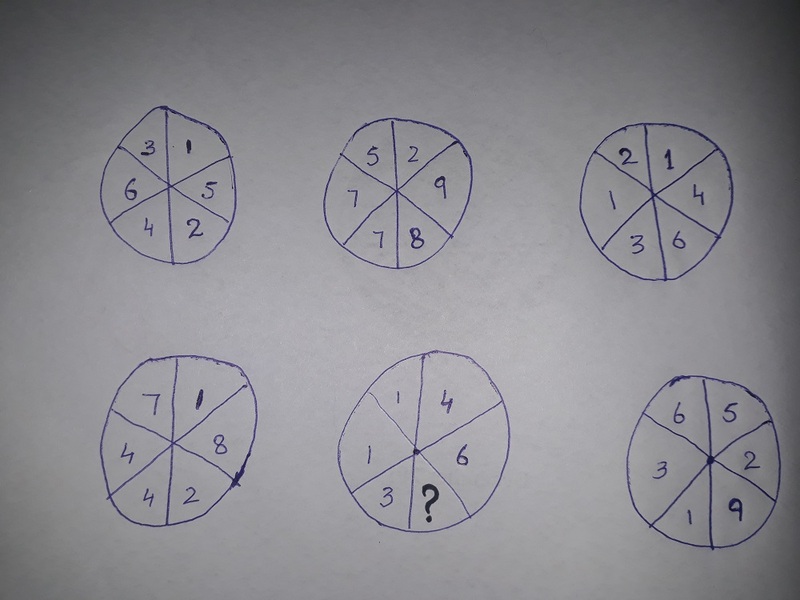 Which number will replace the question mark in the circle below? The number in the middle circle is the sum of the numbers in the left and right circles in the same positions. The number in the middle circle is the difference between the numbers in the left and right circles in the same positions. It does not matter which is subtracting from which, it is the absolute difference. namely: 5 = 2 + 3, 7 = 6 + 1, etc. Not the answer you're looking for? Browse other questions tagged number-sequence puzzle-creation or ask your own question. What size of puzzle is appropriate?